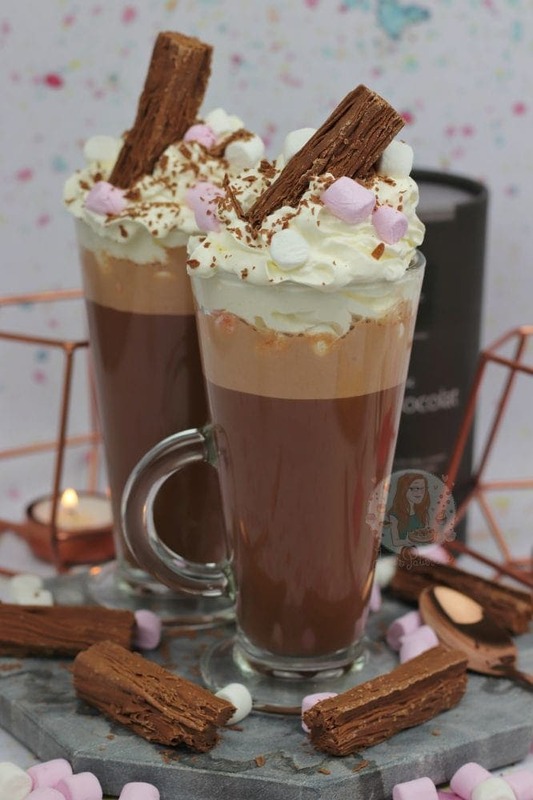 Rich and Super Chocolatey Hot Chocolate ‘The Works’ with Mini Marshmallows, Flakes, and Whipped Cream! 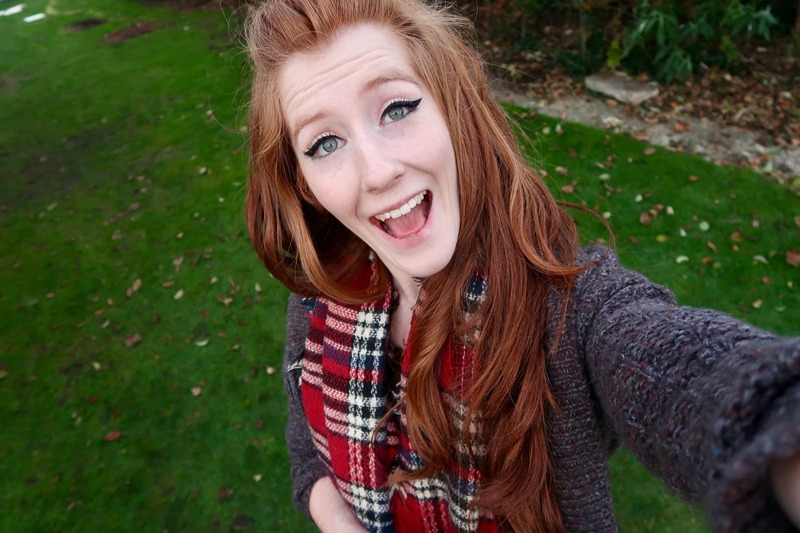 So… I LOVE HOT CHOCOLATES. If you follow me on Instagram in particular, you will know this. I post probably way too many ho chocolate pictures, but if you don’t like them… you probably shouldn’t follow me. Honestly, I adore Hot Chocolates. 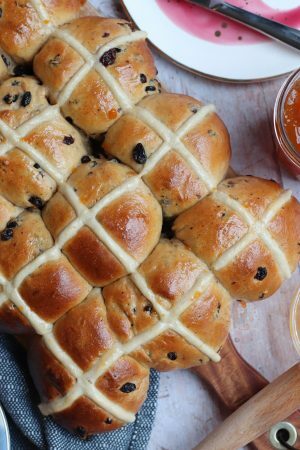 I realise you don’t necessarily need a recipe for them, but I thought I would anyway. Why not hey! I regularly go to cafes, just to search out delicious Hot Chocolates that might potentially beat my favourites. However, I like them all. They’re all different enough to still enjoy them! To be honest, every cafe does them differently, and when you go all out and get ALL THE OPTIONS, they are DELIGHTFUL. 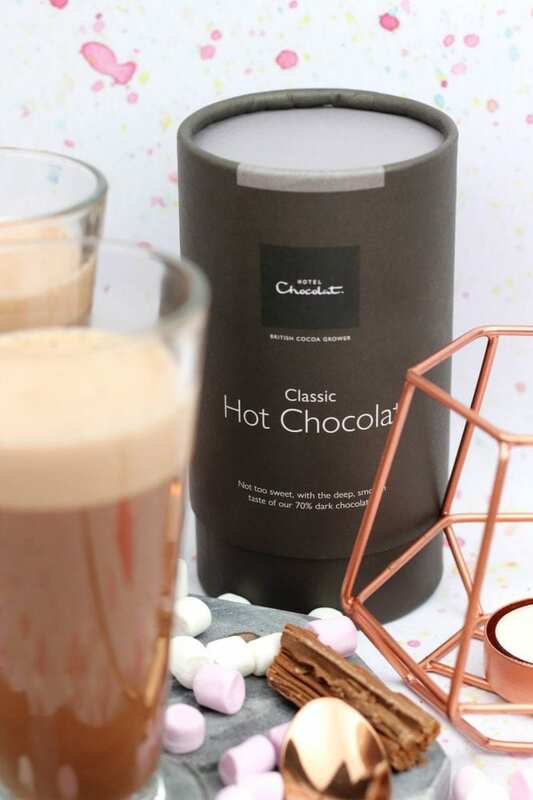 For this particular post I decided to use some of the Hotel Chocolat Hot Chocolate and it is DELICIOUS. It’s basically flakes of actual chocolate that you have to melt into the milk, but that makes it so dreamy and rich and such a good flavour. 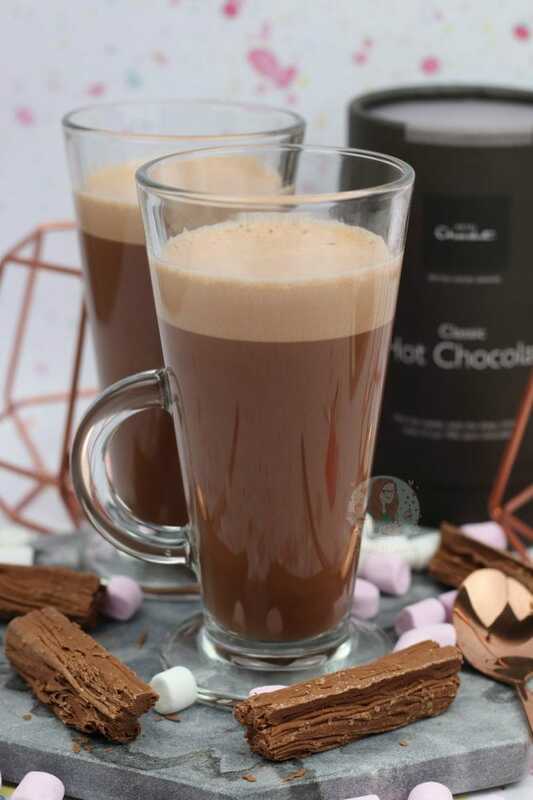 When using a hot chocolate like this, I tend to use the hob or the microwave to heat the milk as it really does have to get hot to properly melt in the Hot Chocolate. 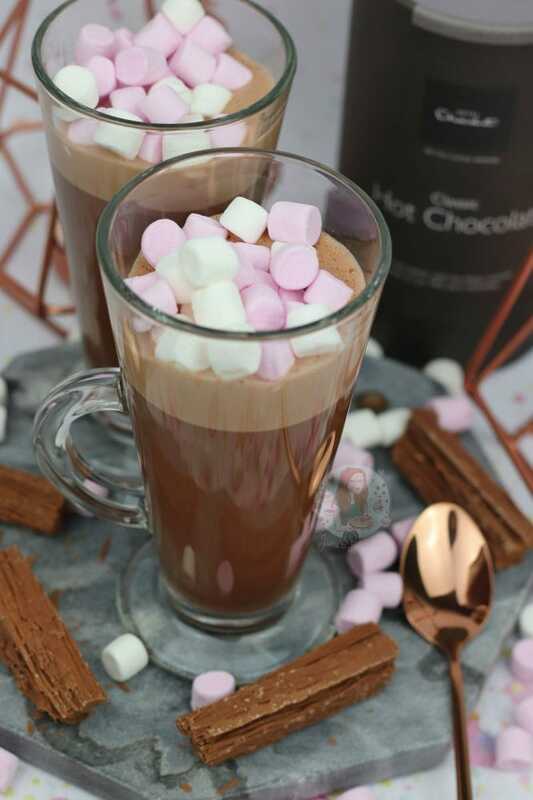 With good quality Hot Chocolates, you tend to find that they are ‘richer’ and ‘darker’ in flavour. Therefore, I go on to add the marshmallows and all sorts. Kinda making it ‘The Works’. 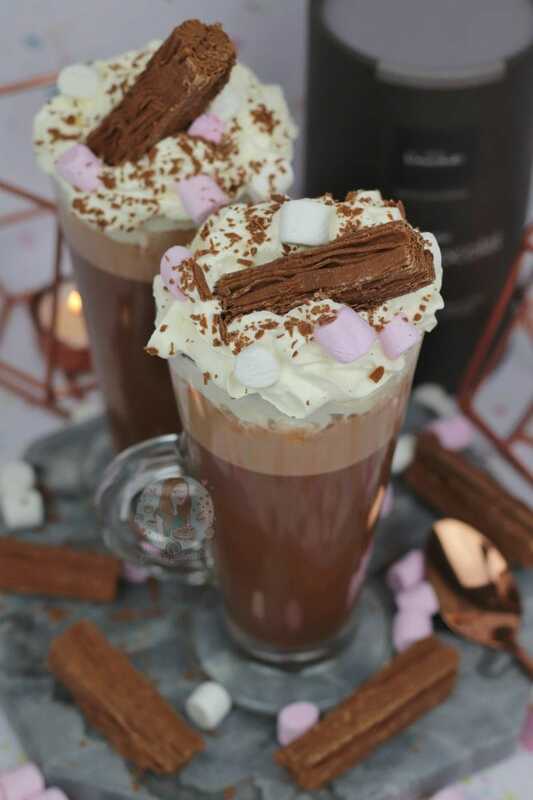 They’re not your average Hot Chocolates that you make at home, and just look how good they are! You can use whatever chocolate powder you want ever, but I have my favourites. Hot Chocolat, Whittards, Clippers, Green & Blacks, and Charbonnel et Walkers. When you pour the hot chocolate in, and add on the marshmallows they begin to melt and its just dreamy. 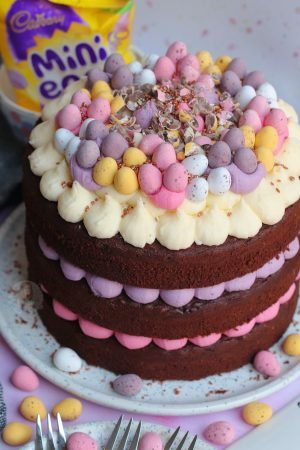 It’s a melty sweet layer of goodness, because of mixing with the Hot Chocolate. Adding on the whipped cream, more Mini Marshmallows, and then the flake and you basically have a dessert in a drink. It’s chocolate overload, but SO WORTH IT. 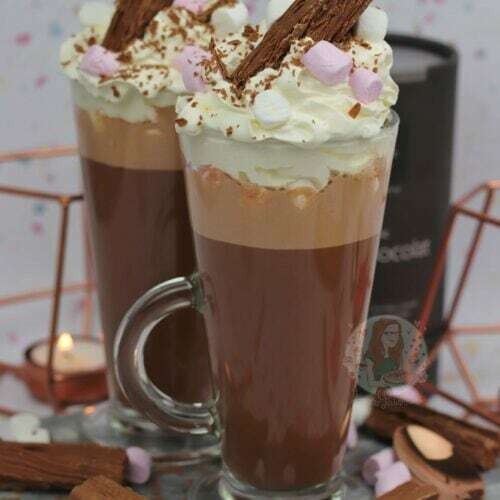 Rich Super Chocolatey Hot Chocolate 'The Works' with Mini Marshmallows, Flakes, and Whipped Cream! Heat your milk in a pan, or in the microwave till hot. Add in the Hot Chocolate Powder/Flakes and whisk till the chocolate melts fully and its all combined. 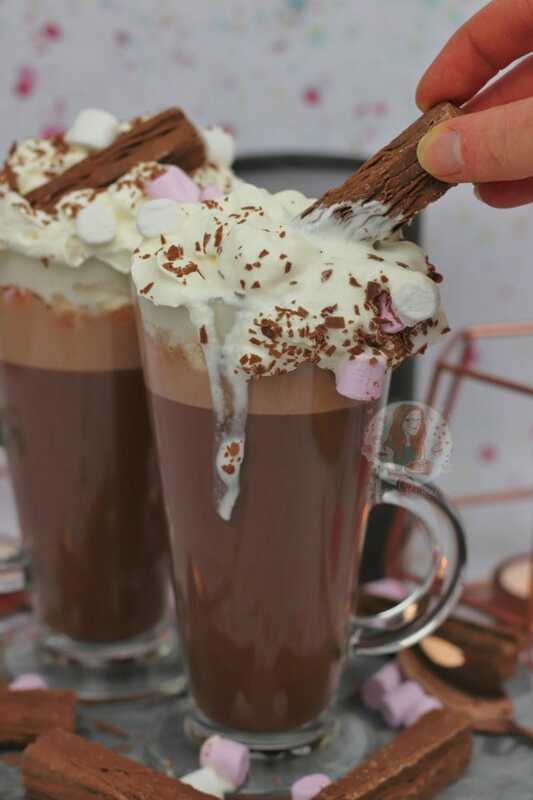 Pour into your favourite glass, and add on some Mini Marshmallows. Squirt on some whipped cream, and add some more Mini Marshmallows. Sprinkle over some bits of flake, and then add on a flake. Any Squirty Cream can will do nicely! 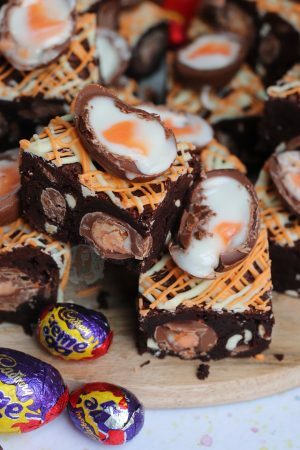 Cadbury's Flakes can't be beaten, but you can get other chocolate treats to go on top! Older Next post: Dairy Free Brownies! Newer Previous post: Lemon & Blueberry Cheesecake! I love white hot chocolate with coconut milk. 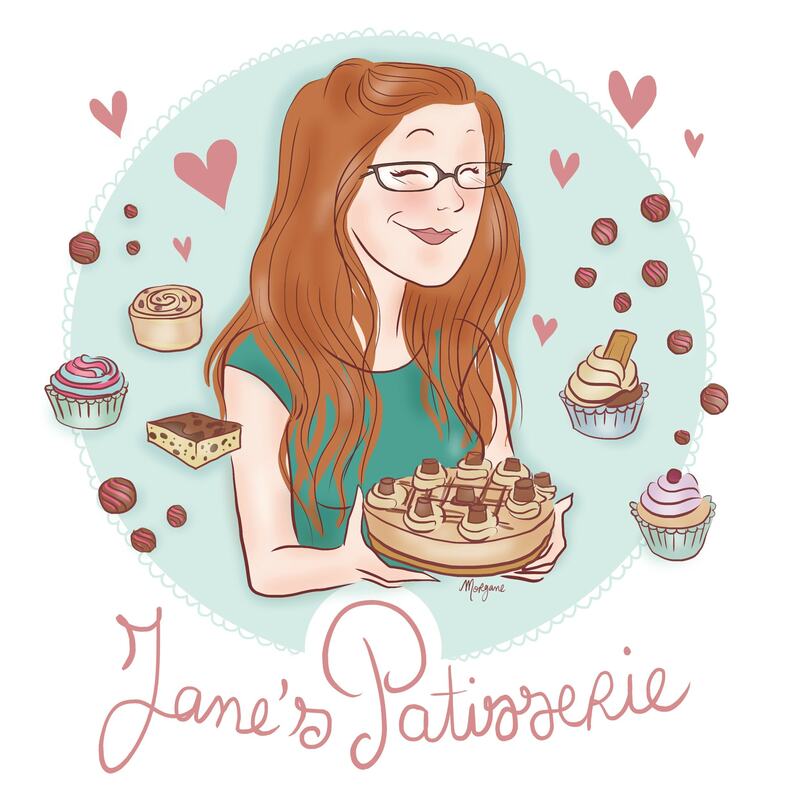 Jane, my comment is, how on earth do you stay so slim with all the chocolate you eat?!!! I’ve just put on 3lbs thinking about this hot chocolate!